The Heeb Automotive Equipment Company building 401 West Gorham St. They also sold Sparton Radios. 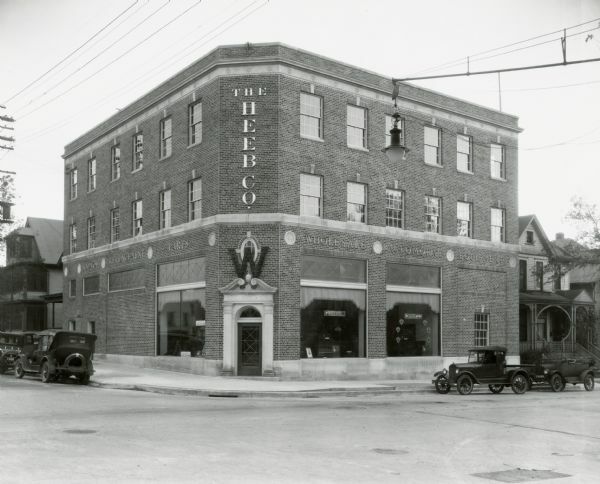 Built 1927, the building was bought by the city in 1965 in order to widen the intersection of N. Broom at W. Gorham. From January 1968 through September 1969 it housed the UW Coop and was the original location of the Broom Street Theater group. The building was torn down in 1969.
see also Image ID 37549. Articles in Capital Times January 31, 1968 and Wisconsin State Journal Oct. 13, 1927 and Sept. 17, 1969.